Easy clean up: 100% machine washable. A Stuffed Animal and Baby Bottle Cover IN ONE! Looking for a unique baby gift idea for a birthday or baby shower? Look no further... 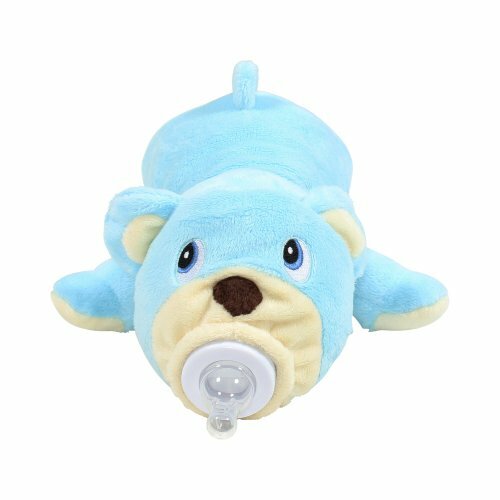 Bottle Pets are stuffed animal baby bottle covers designed to make bottle feeding fun! These plush little animals help babies bottle feed by giving them something soft to hold. Bottle Pets are also fun to play with even when it's not meal time! They're great absolutely any time. Put the fun into bottle feeding with Bottle Pets today! Our original, fully patented plush baby bottle covers offer a playful and unique twist on bottle-feeding by fusing two things babies love: toys and milk. Helps babies bottle feed by giving them something soft to grip. Fits around most sized baby bottlesand insulates the liquid inside the bottle. Makes for a fantastic baby shower or first birthday gift.